LD Kasper Lange was again lighting designer for the iconic Orange Stage at the Roskilde Music Festival in Denmark, one of Europe’s top summer music festivals, and upgraded this year’s rig with additional HARMAN Martin lighting gear for headliners Metallica and other big names such as Rihanna, Slipknot, Kraftwerk and Queens of the Stone Age. Copenhagen-based rental company Litecom supplied a rig that included 68 MAC 2000 Wash XB™ and 34 MAC III Profile™ moving heads, along with 65 MAC 101™ and 10 MAC Aura™ LED moving heads, with 34 Atomic 3000 strobes with Atomic Colors scrollers used for blinding punch effects. 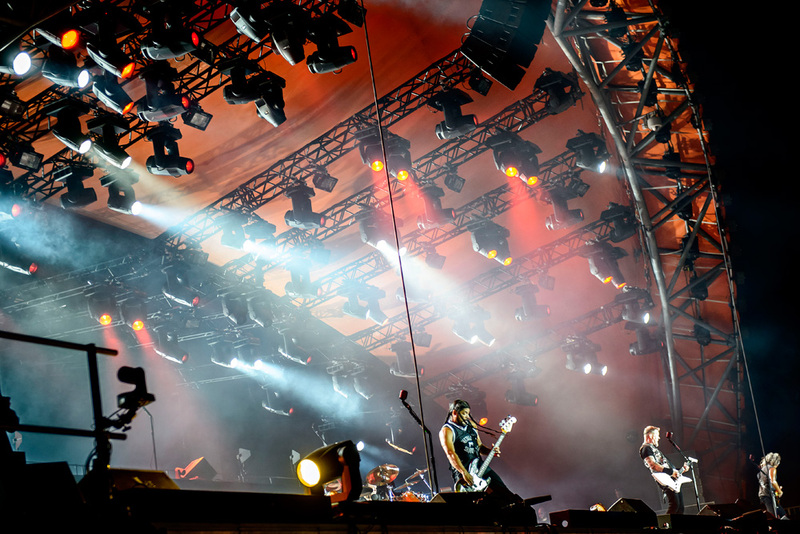 Martin lighting, which has graced Roskilde stages for years, also played a role on other stages at the 2013 festival including the Pavilion Stage (MAC III Profile, MAC Aura supplied by Victory), Odeon Stage (MAC Aura supplied by Victory), and Apollo Stage (Atomic 3000 supplied by Comtech). Comtech also supplied MAC Auras, MAC 700 Profiles, MAC 350 Entours, MAC 250 Beams, MAC TW1s and Atomic 3000s for various other areas.